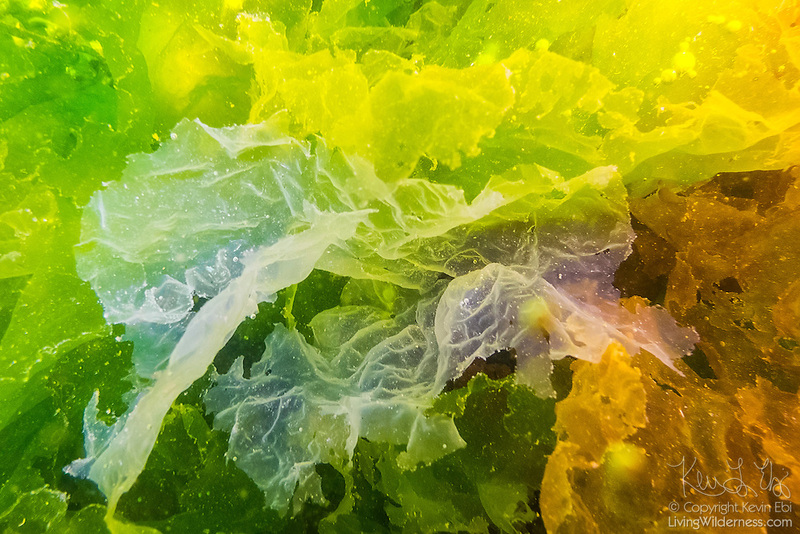 Sea lettuce in a variety of colors grows in a tide pool on Des Moines Beach, Des Moines, Washington. Copyright 2014 Kevin Ebi/LivingWilderness.com. All rights reserved.